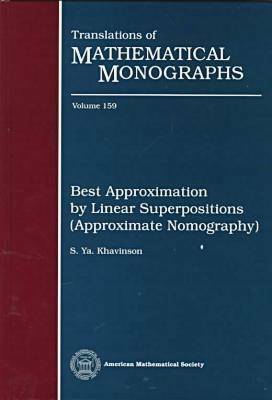 This book deals with problems of approximation of continuous or bounded functions of several variables by linear superposition of functions that are from the same class and have fewer variables. The main topic is the space of linear superpositions $D$ considered as a subspace of the space of continuous functions $C(X)$ on a compact space $X$. Such properties as density of $D$ in $C(X)$, its closedness, proximality, etc. are studied in great detail. The approach to these and other problems based on duality and the Hahn-Banach theorem is emphasized. Also, considerable attention is given to the discussion of the Diliberto-Straus algorithm for finding the best approximation of a given function by linear superpositions.